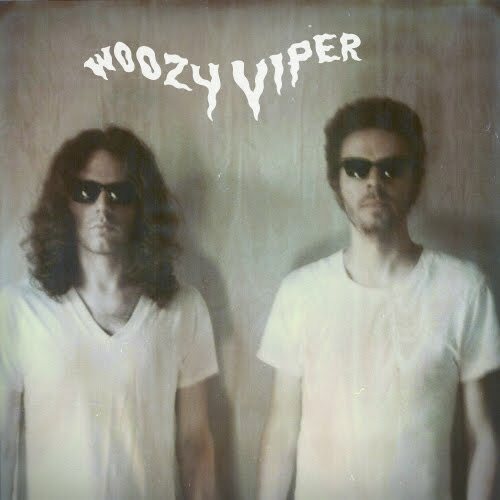 Woozy Viper are brothers Luke and Mitch Meseke, are from Kansas but now reside in New York City, wear shades in photos, and love to party. Heard it all before? Not quite. They are releasing their 2nd LP, Rock & Roll, and its more of the same lo fi party garage rock that would have been played by the cooler kids in Richie Cunningham's class, the more natural proteges of the Fonz except they were too cool for Arnold's Drive In. Rock & Roll doesnt really try to be anything new, or even overtly literate - what they have done is tapped into a few cross-generational reservoirs - the pop rock simplicity of the 60s, the excess and swagger of the 70s, the lo-fi approach to recording from the 80s, the unabashed punkified party sounds of like minded garage rock acts (a la Black Lips) with a smattering of blues dirt (a la White Stripes on their first couple of albums)...and it is very, very catchy. This album does not overstay its welcome, clocking out at under 28 minutes, but is so giddily intrusive that you want them to stick around for a few more liquor-laced milkshakes.